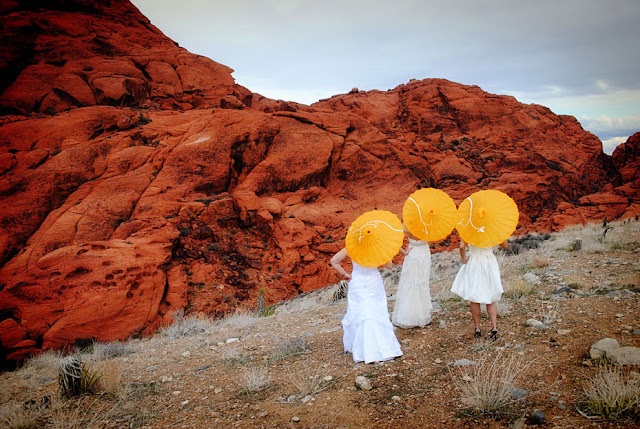 I met up with some other bloggers in Vegas and we decided to have some fun with wedding dresses and nature. 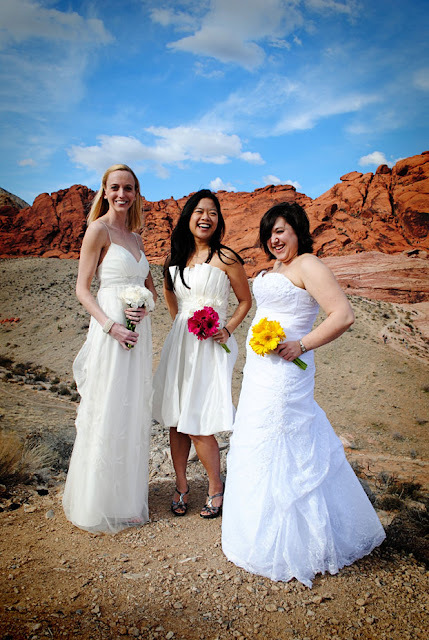 I photographed Ali (Frenchie), Kristin (Quiche) and Serena (Hamster) at Red Rock Canyon National Park. We got quite a few comments, odd stares and Frenchie got many congratulations (I think formality of the dresses determines who the 'bride' is). All of these ladies are awesome and we had such a fun day. And, obviously, the scenery was gorgeous. Stay tuned for their solo shots, and a surprise!